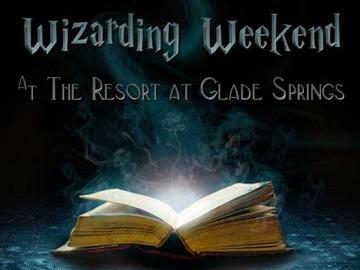 Join us for a night of magical fun in the fully decorated Great Hall for a wonderful Wizard's Feast! Your evening will begin with a "Social Half Hour" where you can mingle with other wizards, witches, or other magical creatures, partake in specialty themed drinks at our Elixir Bar, and get a free photo in our Magical Mirror Photobooth. Following the Social Half Hour, you will be welcomed into the Great Hall for a delicious themed dinner. Be sure to study up on your Famous Wizards Trivia, during dinner you will go head to head with the other houses in a race for the order cup! Adults and Children welcome. Feel free to come dressed for the occasion, costumes are encouraged but not required. There is limited seating so don't miss out on your chance to attend this event!